Drainage is the natural or artificial removal of a surface’s water and sub-surface water from an area. So this can cover your driveway, patio or paved area as well as your lawn and planting areas. 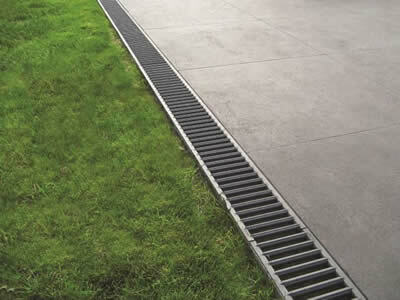 At GJL Paving & Landscaping we specialise in the installation of drains, soakaways, underground surface water drainage, manhole covers, land drainage and rain water harvesting. Whatever your drainage problems or requirements are we can help. We offer various different drainage solutions in the areas of Aldershot, Guildford, Farnham, Farnborough, Camberley, Reading, Basingstoke and Bracknell or any other area in and around Berkshire, Hampshire and Surrey.